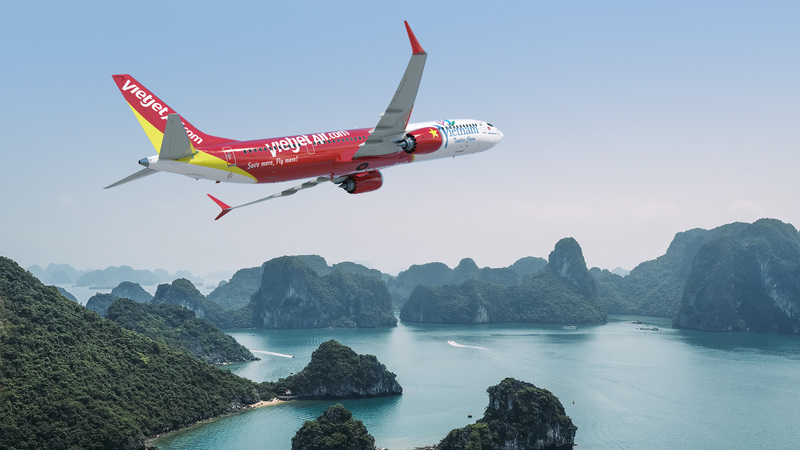 FARNBOROUGH, United Kingdom, 2018-Jul-19 — /Travel PR News/ —Boeing [NYSE:BA] and VietJet [HOSE: VJC] signed a Memorandum of Understanding today (July 18, 2018) at the 2018 Farnborough International for an additional 100 737 MAX airplanes. The agreement, which includes 80 737 MAX 10s and 20 737 MAX 8s, is valued at more than $12.7 billion at current list prices. This entry was posted in Airlines, Airports, Transportation, Travel, Travelers and tagged 737 MAX, airplanes, Boeing, Kevin McAllister, Madam Nguyễn Thị Phương Thảo, MOU, Vietjet. Bookmark the permalink.